If you’re like me, you are always searching for healthier versions of your family’s favorite snack foods… and Junkless Chewy Granola Bars definitely deliver! Upping the YUM factor considerably, we are now stocking our pantry with these delish chewy granola bars! 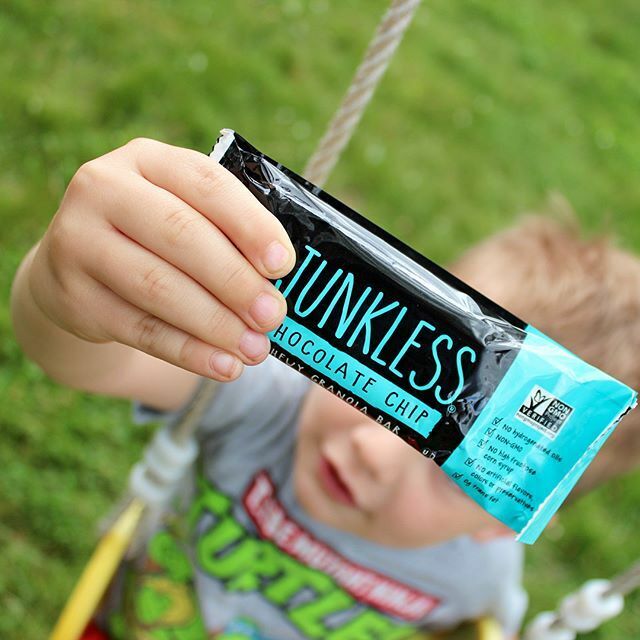 These family-friendly, better-for-you snacks that are minimally processed, contain no artificial flavors, colors or preservatives and are Non-GMO Project Verified. Produced by Junkless Foods Inc., the bars are made with less than eight ingredients. No junk, and they taste good! 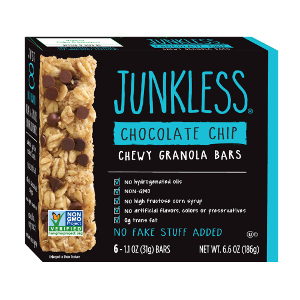 Junkless Chewy Granola Bars are available in 4 flavors you and your kiddos will love, including Chocolate Chip, Peanut Butter Chocolate Chip, 100% REAL Strawberries and Cinnamon Roll. The Chocolate Chip flavor is my little guy’s favorite, and I find the Cinnamon Roll to be almost sinful! The bars are perfect for lunch boxes or tossing in a diaper bag, purse or backpack for an emergency snack. 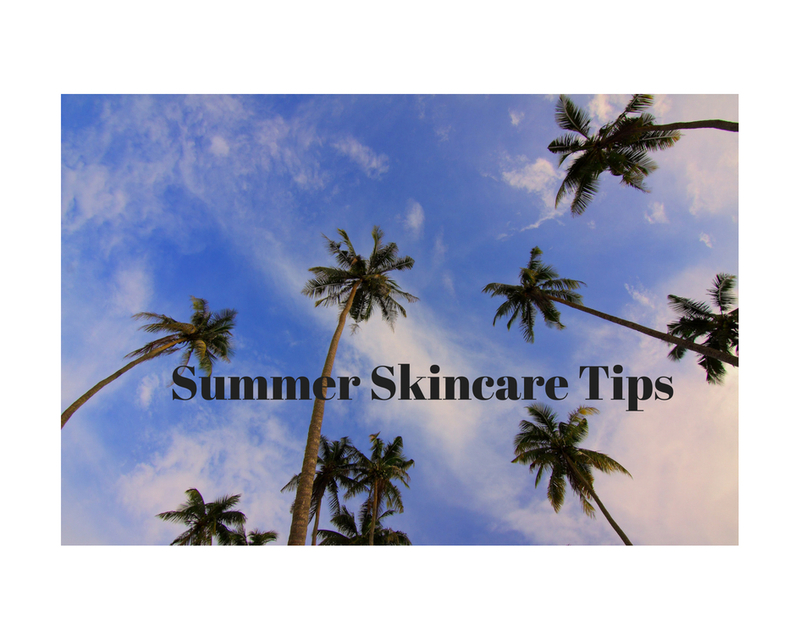 Ernie Pang, who used to do marketing for Kellogg’s, came up with the idea after he and his son were grocery shopping and Michael asked about the lengthy list of hard-to-pronounce ingredients on the side panel of a frozen food product. Ernie thought there had to be a better way! 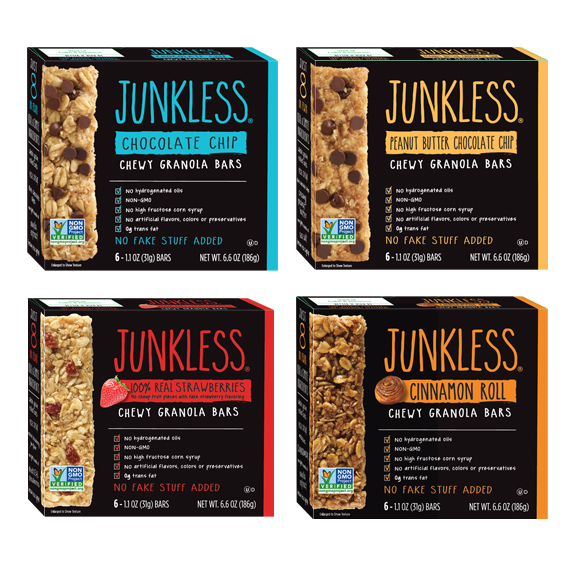 Junkless Chewy Granola Bars are available nationally on Amazon and in select grocery stores around the country. 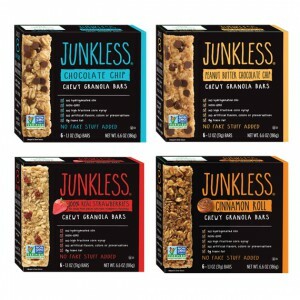 Learn more at junklessfoods.com. Welch’s® doesn’t just make the 100% grape juice you loved as a child yourself, they also make fat-free, gluten-free and preservative-free Fruit Snacks! “Mom” loves their Reduced Sugar Mixed Fruit flavor – perfect for both kiddos and adults to snack on while on-the-move this summer! 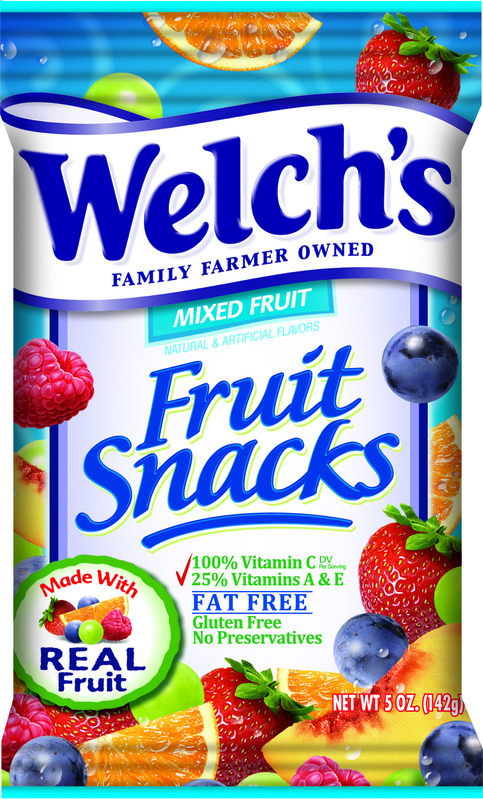 The delicious fruit are made with REAL fruit and contain 100% of the recommended daily value of Vitamin C and 25% of Vitamins A and E. Plus, Welch’s® has created a convenient 80-calorie pack so you can get a portion-controlled treat that makes it easy to count calories if you are watching your weight. Welch’s® Fruit Snacks Reduced Sugar variety is recognized as a Healthier Snacking option by the Alliance for a Healthier Generation. They are smart snacking choice that burst with flavor and will satisfy your craving for something sweet, without having to reach for a candy bar. Why choose Welch’s® Fruit Snacks? To learn more about Welch’s® Fruit Snacks and their Reduced Sugar varieties, or to locate a store near you, visit welchsfruitsnacks.com.